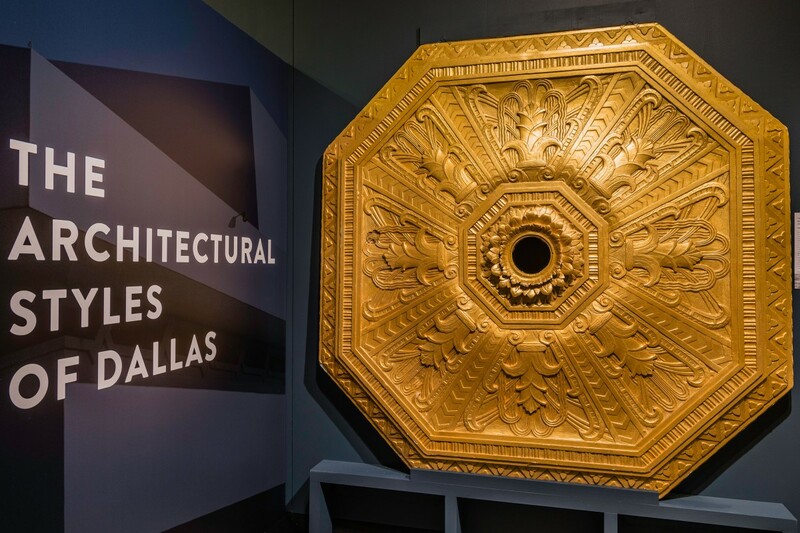 Preservation Dallas presents a fascinating look at the evolution of Dallas architecture and the styles that have shaped what the city looks like today. 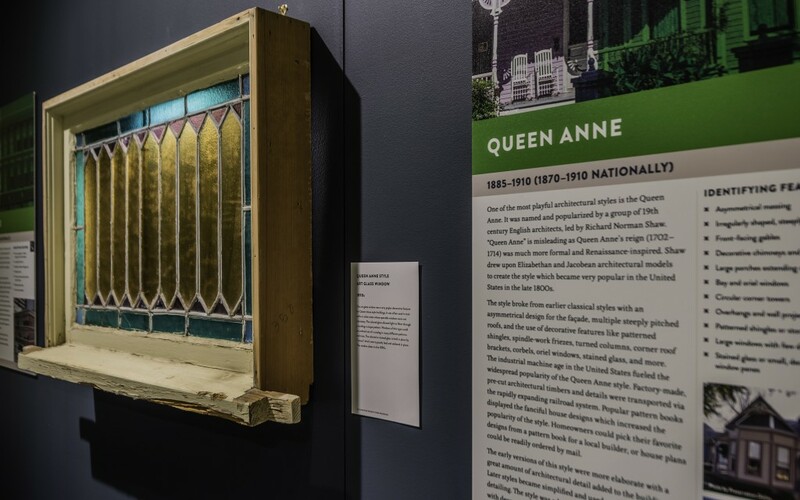 On display through June 8, 2015 at the Old Red Museum of Dallas County History and Culture, the story of Dallas’ architecture is told through compelling photography, historic drawings, and salvaged building elements. Information panels help visitors identify 27 different styles, pointing out features prominent in both residential and commercial architecture. 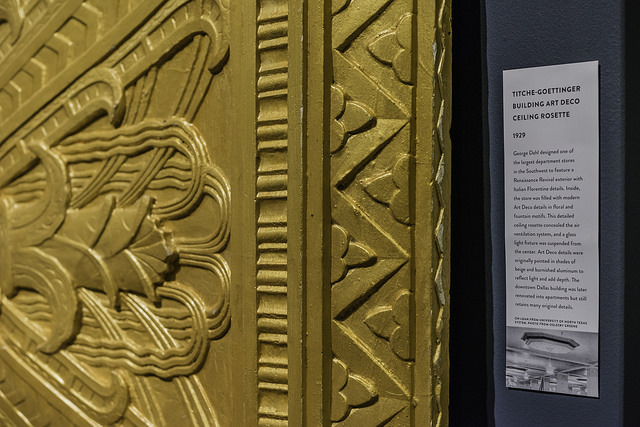 The largest artifact on display is an elaborate art deco ceiling rosette from the Titche-Goettinger Building. Other pieces include columns, terra cotta pieces, and facade panels from buildings that have been lost to demolition. From Early American/Folk to Brutalism, Dallas has many surviving examples of unique architecture. 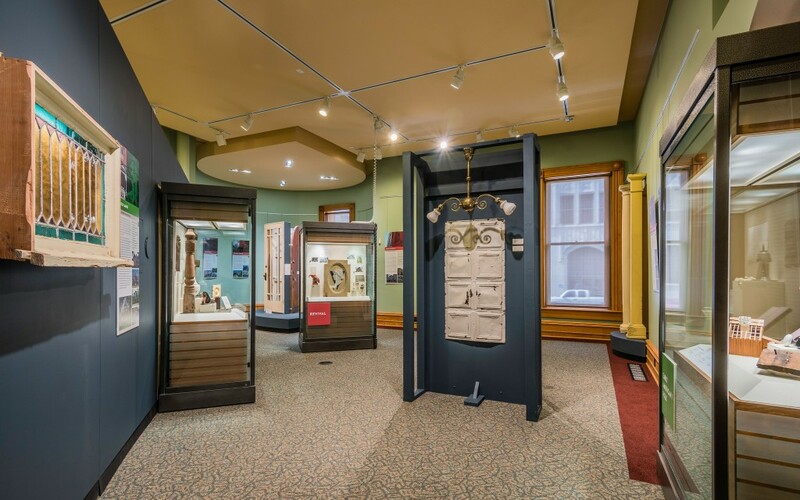 The exhibition helps raise awareness of this diversity — even in small architectural details such as tile and paint colors. As architectural trends continue to evolve, it’s fascinating to see how various styles have influenced development in Dallas over the past 120 years.